Forest bug. Close-up of the head of a forest bug (Pentatoma rufipes) on an acorn from an oak (Quercus sp.) tree. 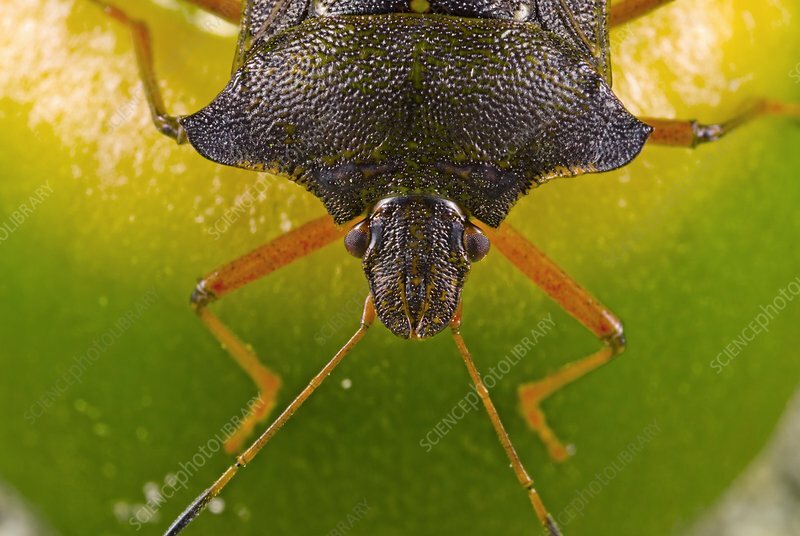 Forest bugs are a species of shield bug (superfamily Pentatomoidea) that are common and widespread in forests and woodlands worldwide. Photographed in Wroclaw, Poland.